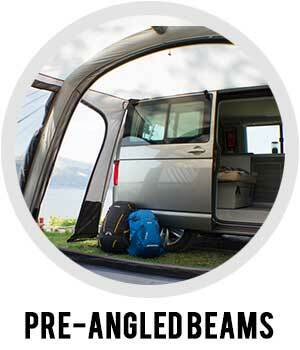 Vango inflatable AirAwnings® for campervans and motorhomes go a long way to ensuring you have one of your best holidays yet. Pitched in a matter of minutes, AirAwnings® are packed full of innovative features and technologies. They give additional space to relax, or in some models sleep, and can reserve your pitch whilst you explore your surroundings. Here's a closer look at some of the features that are incorporated in the Vango Vehicle AirAwnings® collection (please check awnings for full feature information as features can vary by model). 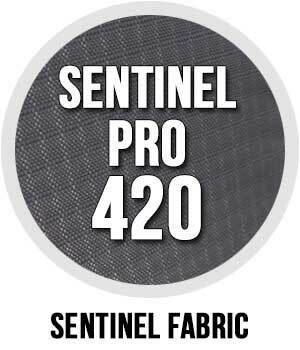 The 420 denier double ripstop threads we weave into Sentinel Pro, provide an incredibly strong fabric that will withstand a great deal of punishment from the sun, wind and rain. The high-density base fabric, combined with the technical coatings we use, make Sentinel Pro a market leader in terms of waterproofness and longevity. 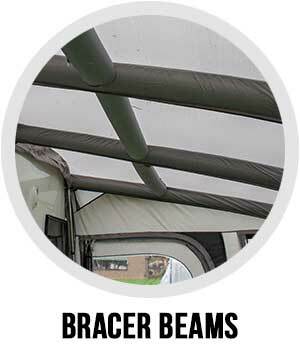 Bracing beams for the front and the roof provide additional stability to the inside of the awning. 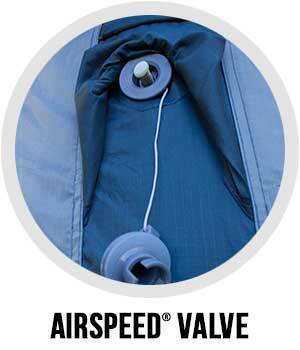 AirSpeed® Valve system and easy access positioning - designed by Vango to inflate your AirBeams® with even less effort! 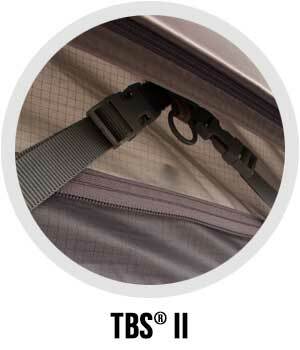 Patented Vango TBS®II Tension Band System ensures the awning performs in adverse conditions, especially in strong, changeable winds. When tensioned, the bands brace the beam at 3 points, and prevent sideways movement. Simply roll away into pockets when not in use. 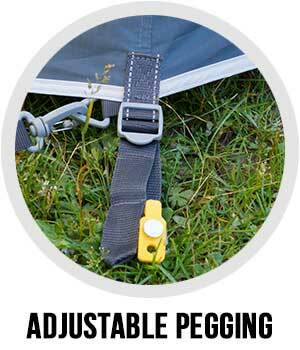 Provides secure guying at the front and rear of the tent, helps to secure the awning in particularly bad weather. 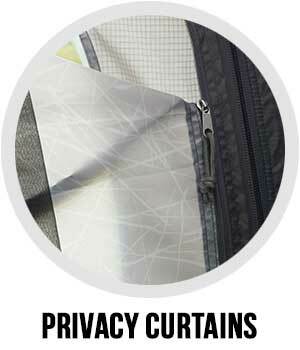 Simple and quick to use, zip curtains allow varying levels of opening. Fits to the flysheet with no gaps, and simply roll down into a pocket. More useable internal space is created by incorporating pre-angled sections into the beams, as opposed to a continuous arc. 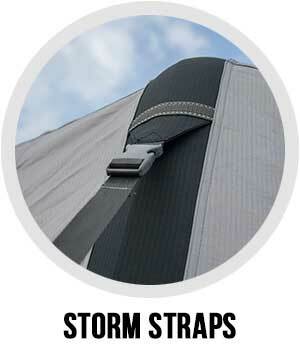 The shape keeps the awning sturdy against strong side winds.